You think you know how to get a girl to like you, but then you put your plan into action and it doesn't work out. You ask your friends how to get a girl to like you and they say pretty much what you already tried. Well, don't give up. I thought it would be a good idea to survey my friends around the world, compare notes and update this article. Here is our brand new Global Guide with our 7 top tips on how to get a girl to like you. Try them out and let us know if you manage to attract that girl you like. Here's 7 tips to keep in mind when approaching a girl if you want her to like you. Make it easy for her to talk to you. Understand what a girl expects. Be honest with yourself and her. Here's an explanation of each of the seven points so you can be comfortable when you approach the girl you like. Perhaps you spend all day working up a sweat in a busy office, work with oily engines or dig dirt all day as a landscape gardener. Doesn't matter how you get dirty and smelly. The secret to how to get a girl to like you has a lot to do with how well you manage to get clean! Do what it takes to look good for her. If you want your hands anywhere near a gorgeous girl, they'd better be clean! There's no such thing as a woman who enjoys bad breath. Go home to shower and shave before going on a date. Or before going anywhere! Any girl you meet for the first time or the fiftieth time would rather see you fresh and clean. Make sure you look (and smell) nice. Don't cut corners and toss on the same clothes you were wearing before, and don't dry yourself with a towel smeared with grime from when you half washed your hands. Dress yourself in clean clothes. The number one tip for how to get a girl to like you is all about cleanliness. Male and female friends in countries around the world all agree that scrubbing up well is very important. This should be obvious to anyone wondering how to get a girl to like you, but for some reason many guys just don't get it. Girls won't like you if you seem distant, arrogant or off-hand. Yes, they may well find you fascinating or interesting, but they won't really like you as a potential partner unless you are approachable. If it looks like she needs help, offer it to her. Talk to other girls so she can see you are able to have a conversation. Laugh and smile. Not just when you know she is watching. Make it your new 'normal'. The best way to make it easy for her to talk to you, is to ask her a question. Yes, that's right. You talk to her first. Laughter is a great ice-breaker. It is easy to have a conversation with someone who smiles and laughs naturally. There's no need to crack jokes or work hard at being funny. Just be yourself, enjoy yourself, and make it easy for her to talk with you. You don't have to be different to every other guy in world, but it helps to be a little different to the people you mix with every day. No, that doesn't mean you suddenly have to become a Goth or dye your hair purple. It isn't necessary to stand out in an obvious, try-hard manner. But if you are serious about planning how to get a girl you like, compare yourself to all the other guys around you. And then try to be different in some small way that will get you noticed. If everyone else carries a black briefcase, be the guy with a backpack over your shoulder. If everyone else in your circle wears t-shirts, be the guy with a shirt and collar. Instead of wearing the same type of jeans and jacket, it could be fun (and effective) to be the guy in grandpa pants. 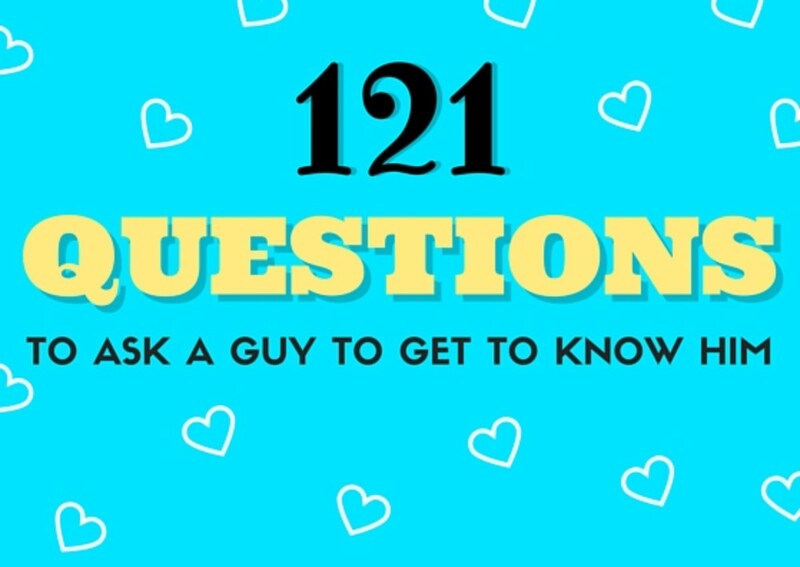 Think about how to get a girl you like to a) notice you and b) start talking to you. Give her something different to notice, comment on, and ask you about. Movies would have us believe that most girls love the strong, silent type of man, right? I talked about this with a bunch of guys and girls of various ages in different countries and here's what we agreed on. The appeal is not really in a guy who is strong and silent. If you work out with weights every day to build your muscles and never say more than what's necessary to order a beer or a pizza, you won't impress many women. The strong, silent type of man that girls like is a man who has the strength to stay calm in situations where other guys lose control, and the ability to stay level-headed and be fair when making important decisions. keep your mouth shut when silence is the best option. Impress her with your ability to stay calm and be fair. Girls like those qualities in a man. So are you starting to understand what a girl expects from any man she's considering for a future relationship? She expects to feel safe in his company. If you want a girl to like you, show her that you won't lead her into trouble. There is no point reading tips about how to get a girl to like you if you can't be honest with yourself about who you are and what you have to offer. Don't tell lies to make yourself sound like a better catch than you really are. Why? Because sooner or later she'll discover what you are really like. And if the man you really are is not the guy she thought she was falling in love with, she'll spot your deception and dump you. If you are a good and honest person, let that shine through. If you are hard working, let her see that for herself. If you have dreams, be prepared to share them. Let her see who you really are. Perhaps you are one of those people who are really hard on themselves, and have trouble seeing your good points. Time for a bit of self-reflection and honest self-assessment. Don't be too critical of yourself. Think about who you really are. There's two key points in this tip. Be reliable. Be where you say you'll be, at the time you say you'll be there. Don't make promises you probably can't keep. Even before you are dating, let her see you are a man of your word. If you say you'll be at an event, hoping she might turn up, make sure you're there. Get in the habit of meeting commitments. Few things annoy women as much as someone who can't be trusted. If you gain a reputation for making promises you never keep, she's going to hear about it. Or experience it. Nobody likes a liar. And nobody enjoys being disappointed. Don't promise to take her somewhere you know you'll never go. And don't spend money you know you don't have. Only try to catch the attention of a girl who absolutely fascinates you. Why? Because it will be much easier for you to meet her needs and make her feel special. Ask how her day was, and listen to the answer. Discuss issues she cares about. Hang out with her friends. Be polite to her family. Don't bother worrying about how to get a girl to like you unless you are genuinely interested in her. It is a waste of time trying to catch the eye of a woman just because all your friends think she is gorgeous. If you genuinely like the girl, you'll enjoy trying to woo her. And you'll celebrate if you catch her attention. Good luck, my friends!